Every 4 years we are treated to an epic event – the FIFA World Cup. Nations from around the world compete against each other in one of the most famous and iconic sporting events we have ever witnessed. This year, the World Cup is held in Russia and teams will play games across Siberia from Moscow to Volgograd. England is of course in with a chance and fans from around the country will once again be watching their progress match by match. There is something about major sporting events that unfortunately brings out the worst in us. Furthermore, for the most part, it is, unfortunately, the female population who is generally on the receiving end of domestic violence during these periods. For most people, the FIFA World Cup is a highly anticipated event that they can enjoy – it is only held every four years, therefore the build-up is exciting and there is nothing more fun and patriotic than supporting your home country during a major sporting competition. Despite this, there is a darker side to the World Cup – one that not all of us are aware of. During this period, some people simply lose control and use this sporting event as an excuse to behave poorly and disregard common etiquette and even turn to violence towards their partners. In the months leading up to the world cup, we have seen various campaigns to fight against domestic violence such as “Operation Ribbon” and “Give domestic abuse the red card” – the government and help organizations know that this is an issue and thus take extra measures to combat domestic violence. 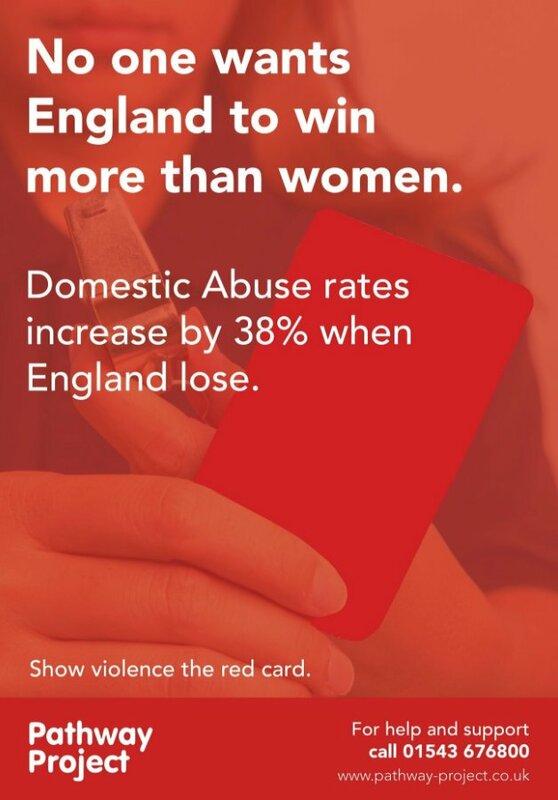 If we look at actual statistics, we can see a stark increase in reported domestic violence incidents during the world cup. 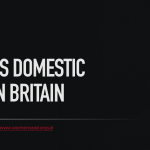 For example, during the 2010 World Cup, domestic violence reports spiked hugely when England lost – some reports showed an increase of over 26%. Furthermore, during the 2014 World Cup, Lancaster University found that there was a 38% increase in reports again when England lost. Aside from these figures, it is widely known that the police force often deploys more patrolling officers during England World Cup matches, and even deploy additional domestic abuse patrol cars. In short, the World Cup, and specifically England matches often cause an increase in domestic violence and local police establishments prepare in advance to cope with the expected surge. Image from the Pathway Project from a shocking but brilliant campaign to raise awareness. Just think of how you feel when watching an England match – it’s a tense situation and it can make people extremely angry. 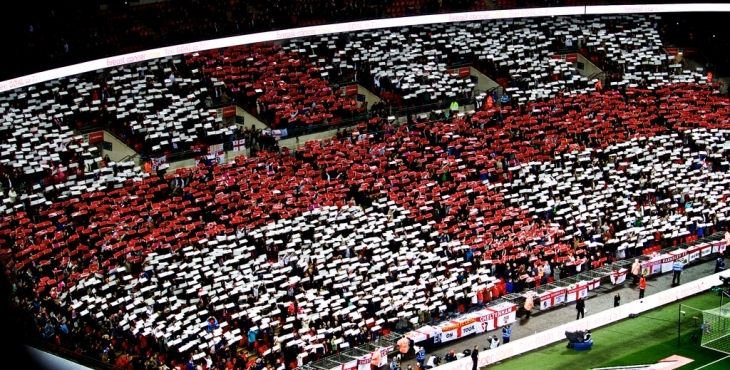 Yes, we know it’s only a sporting event, but many people take it seriously and are passionate about supporting their country. 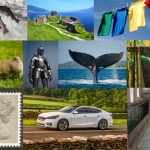 If England is struggling, or if poor decisions are made, or if they are losing, moods can quickly change and people can get exceedingly angry and irrational – this can lead to lashing out and violence by some individuals. This is considered to be one of the main factors – how many people drink alcohol when watching an England World Cup match? If you are not at the pub or a get-together, you are more than likely enjoying a drink at home. In this type of high-pressure situation, we often drink far too much and become inebriated whilst watching the match – this, of course, can lead to erratic behaviour, fights and of course violence. For some intrinsic reason, when England are in the World Cup, it gives many people an excuse to lose control and drink excessively. During the FIFA World Cup, how many women do you think are sitting at home on their own whilst the men head off out to the pub with their friends? Alternatively, how many couples do you think to sit in separate rooms watching separate TVs for the duration of the World Cup? This sporting event can cause fractures in relationships and reduce the number of time couples spend with each other – this, of course, can result in strained relationships and an increase in unhappiness. If you sense danger or feel unsafe then you can always call the National Domestic Violence Helpline. Alternatively, you could consider using the Vodafone Bright Sky app that allows you to discretely seek help for cases of domestic violence. Sporting events should never be an excuse for domestic violence and the greatest advice we can give is to remember that it is just a game – there are far more important things in life!